Tomorrow, romance author Larion Wills is coming over to visit and blog about messages sent with flowers. She'll have a contest too, don't miss it! 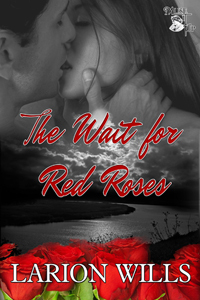 To get in the right flowery mood, I'd like to introduce her new book: The Wait for Red Roses. It's brand new, published March 26. Imposter Curt would convince Cindra he was her husband long enough to turn the tables on the man paying him to fool her and gain even more. Cindra knew the instant she saw Curt she still wanted him no matter what he’d done. Follow Cindra’s struggles to salvage the life she’d made for herself, not let him back into her life or heart, not to trust or succumb to the charms of a man changed too much, and to stay alive while she learns why Curt left her, and why he disappeared. Two names, one author, thousands of stories.